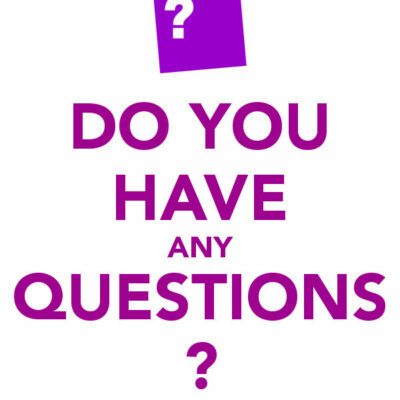 Home > Posts > Minister Articles > Pulpit Minister > Do You Have A Question? If you do, you are going to love our adult Wednesday night class for the summer quarter. Terry Pruitt and Nathan Whitaker, our educational directors, have decided that this year’s summer quarter will be an opportunity for us to ask the questions we have about the Bible and what the Bible teaches. The summer quarter is the months of June, July and August. During this quarter, the Wednesday night adult classes will meet in the auditorium. A panel composed of our elders and ministers on an alternating basis will discuss and attempt to answer the questions you have submitted. We would like your questions to be submitted in writing by the middle of May. We will divide the questions among our panel members. We will also try to arrange a schedule as to when each specific question or topic will be dealt with. So, what are your questions? I know we have a lot because of our reading of the Bible together this year. So write down all that you may have and turn them in to Terry, Nathan, one of the elders or one of the ministers. We will look forward to a great summer quarter.